Successfully Added Aputure A.lav Omnidirectional Lavalier Microphone - 3.5mm Output, Built in Battery, 200 Hour Usage Time to your Shopping Cart. 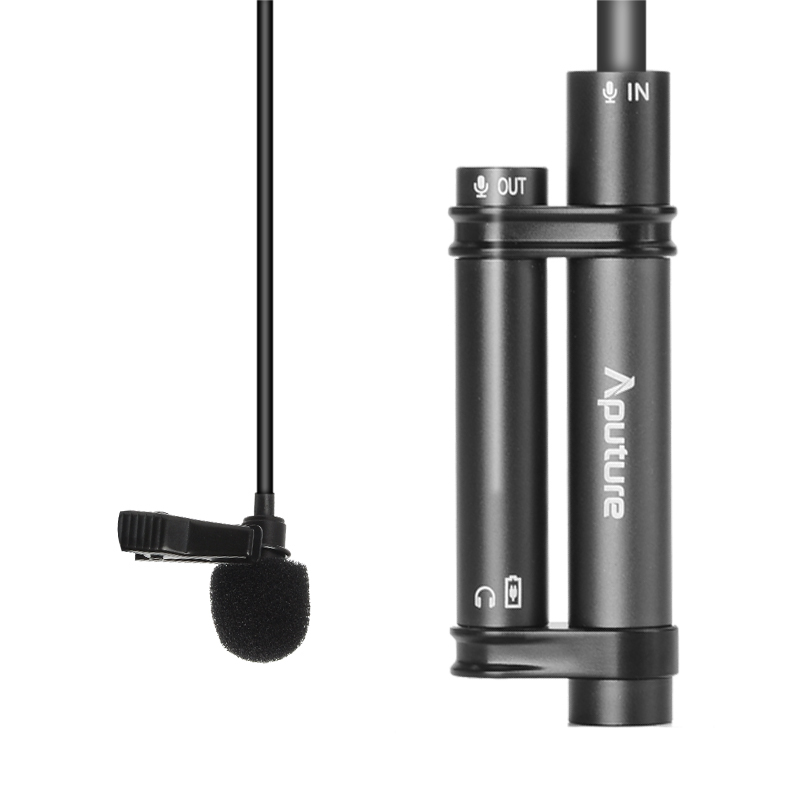 The Aputure A.lav is a professional omni-directional lavalier microphone from Aputure that brings great acoustic fidelity and is made from the finest components to bring you a clean crisp sound of a professional quality that suitable in almost any scenario. The lav mic has a high signal to noise ratio, wide dynamic range as well as flat frequency response so you can record broadcast quality audio without any hassles with a mic that won't cost a fortune. This light and compact microphone is small and easy to wear when in use as it clips direct to you collar, lapel or top and is ideal for use in television, theatre, and public speaking applications where hands free usage is desired. The cord from the microphone can easily be hidden and the microphone control module easily slips into your pocket or clips to a belt. This lav mic has a 3.5mm (1/8 inch) output connector letting you use it with your Smartphone, tablet, DSLR or video camera. This all in one compact lavalier microphone has led indicator lights to keep you aware of its power status and can run for around 200 hours from fully charged brining loads of useage between recharges, It comes with a 12 months warranty, brought to you by the leader in electronic devices as well as wholesale audio devices and microphones..